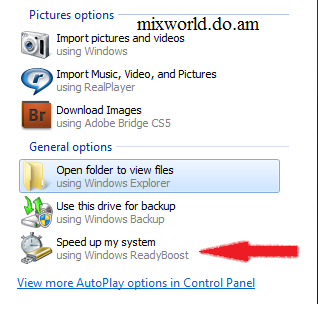 Hello Guys, This is one of my favorite Trick to boost up the speed of your PC. 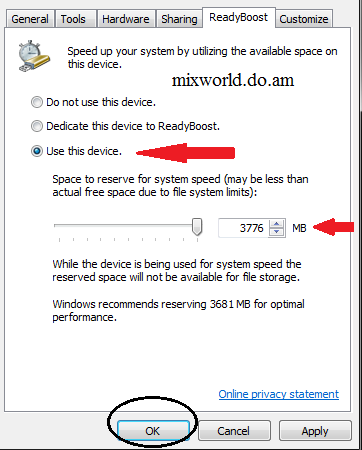 After reading this post you can use your USB Flash Drive or SD card to get ultimate speed of your PC. We will make your USB or SD card to act as RAM and it will increase space for Cache memory. 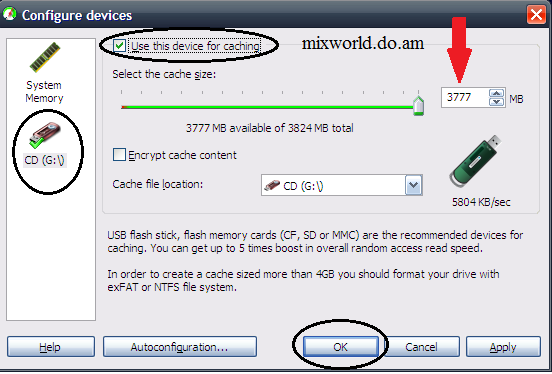 Cache memory is a small memory inbetween CPU and Main memory which stores that files which are frequently used by a user. 1>> Insert your Flash Drive into USB. 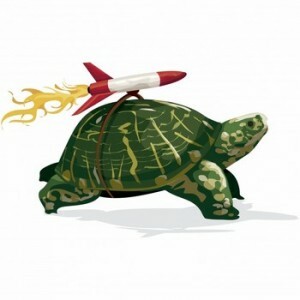 2>> Select the option "Speed Up My System" in the Autoplay Box. If Autoplay option doesn't open then goto My Computer-> Right Click on your Flash Drive-> Properties->Choose Readyboost Tab. 4>> Click OK after choosing your choice. 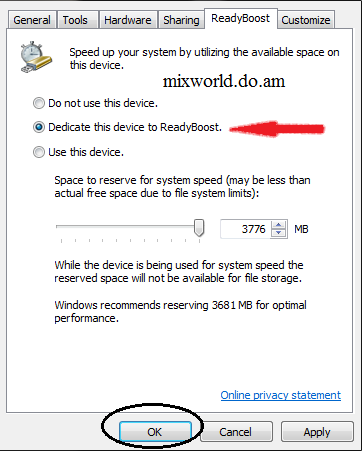 1>> Install Ebooster and Register for Trial Version. 6>> Now a window will pop and select "Start Build Cache".